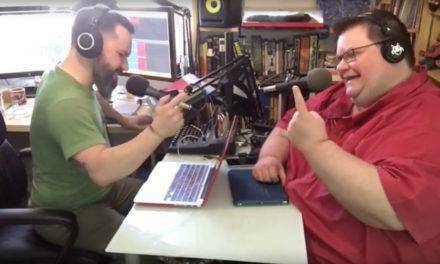 Welcome to Episode 157 of the Two-Headed Nerd Comic Book Podcast! This week, we discuss Amazon’s purchase of Comixology, the optioning of Vertigo’s FBP for film, and the upcoming death of Archie Andrews. Plus, we try to figure out why the grass is greener on the Left Coast during our Ask A Nerd segment! Our theme music is A Better Tomorrow by Dan the Automator. Other music found in this week’s episode was provided by the following sources: Big News Theme — Big News II by Clutch, Ludicrous Speed Round Theme — Fury of the Storm by Dragonforce featuring Dark Helmet, Ask a Nerd Theme — They’re So Incredible from the Revenge of the Nerds soundtrack, Bang-Shang-A-Lang by The Archies, Mexican Radio by Wall of Voodoo, Iron Fist by Motorhead, Indiana Jones (Lost Pop Theme Song) by L.B. Rayne, Training Montage (Highlander) as performed by the City of Prague Philharmonic Orchestra, We Fight for the Users by 8-Bit Weapon, New York’s Alright If You Like Saxophones by Fear, Taco Grande by “Weird Al” Yankovic, and other fine songs that are copyright/trademark their respective artists/owners. Two-Headed Nerd 237: The Fifth Annual Golden Beppo Awards!